A new method is described for determining the specific gravity of fish eggs. The technique requires the preparation of a stable column of a continuously graded solution of sea-water salts such that a specimen introduced into the column settles at a level of known specific gravity, where it is in hydrostatic equilibrium with the fluid in the column. The method allows the simultaneous measurement of specific gravity of a number of specimens continuously throughout development and is suitable for use aboard a vessel at sea. 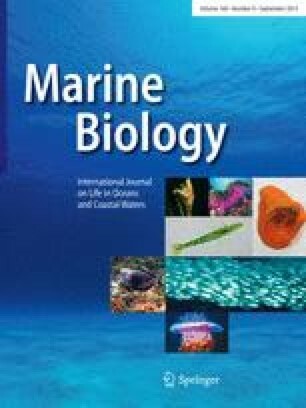 Differences of specific gravity may be resolved to a precision of better than 4x10-5; as an example of use of the method, the specific gravity of eggs of the mackerel Scomber scombrus L. declined during development within the range 1.0205 to 1.0245; unfertilized eggs displayed a continuous increase of specific gravity.